I’m delighted to be on Joy’s blog again today! When she asked me to share, I thought about a few things I’ve written over the past few months, and this came to mind. I hope you can relate. Ever been stuck? Like really stuck. Like, there is no way I'm getting out of this alive, stuck? Stuck, like tires spinning. No way out. Stuck, middle of the night in a silent house, staring into darkness, mind spinning. No way out. If you're not there now, you will be. Or you have been. We all get stuck eventually. It comes in various forms, this being stuck. Physically, Emotionally, Spiritually. Sometimes it's a slow climb, one little event piles upon another and then another and the cynicism creeps in and the walls go up and you're safe and completely protected in the cold and drafty castle you've built around yourself. It's okay there. You can be alone. Nobody visits anymore. But sometimes unwanted guests show up. You want to pull up the ramparts and refuse them entry, yet you nod and move aside and let the baggage through. Doubt and Fear. They're old friends. They know where their rooms are and they unpack quickly. You don't have to wait on them. They help themselves. Sometimes Insecurity shows up too and they have a real party. Because he's heaps of fun. And so you sit there, watching … watching as they eat away all your stores, drink up every last bit of determination you've saved to use for such a time, and you sit and listen as they talk about all the losers in the world and isn't it a shame they just can't get a break because they never will you know. And you, yeah, you know where you fit, right there with them, those silly fools they're talking about who actually thought … that they were good … and soon discovered otherwise. You watch and you listen and you take it all in and try to ignore that hard knot in your stomach that tells you all you have to do is get up and leave the room. You don't have to be here. Time ticks on, and yet, you stay. And wonder how you got all the way back here. Sometimes all it takes is one careless word. One look. One glance at a person who overstepped and went where they shouldn't have and you just cannot even stand the sight … and bam. Sometimes all it takes is that one memory. A longing. And a realization that things can never be exactly how we want them. And forgiveness? It's the hardest thing in the world. We think it easy to compartmentalize. To put things into categories, separate and distinct. Yet everything lumps together in the end. If you've any feeling at all, each part of your life will eventually bleed into the next. And you'll look at that mess of melding colors on the paper and you'll say it doesn't matter because the painting was never going to be any good anyway. And so you rip it away. Say you'll start over. - it doesn't have to be this way. Remember that time you visited a friend and you talked and talked and talked and then she said something so utterly ridiculously funny and before you knew it, there was laughter … laughter fills a room, fills a soul and starts to mend the broken. You need that. Remember that time someone reached out and grabbed your hand and just held on? Maybe they prayed and oh, you didn't want them to because you knew that was it right there, your breaking point … but you needed to be broken. You needed to let the healing begin. So let it happen already. And remember … oh, remember that time you did that really good thing? That hard thing that took years to accomplish, years of battling it out, fighting for it and believing in it when people said you should just give up … but you did it anyway. You did it and it's yours and … It. Was. Good. Really good. And it's okay to know that. So when I'm stuck, and I so often am, I reach back and hold fast to the memories of when things were good. When I got up and did the work and loved it. When I didn't question whether I could or not, I just did. I reach back to the time … maybe not so long ago … when I actually believed in myself. Do I want that again? So sometimes getting unstuck takes work. Sometimes it is a reaching back, a prying open, a painful examination of what went wrong and why and was it really fixable and you just didn't try … sometimes you need to go back to move forward. Not always, but sometimes. And sometimes you don't. Sometimes all you really have to do … and here's the part where you can grin and maybe laugh a little because it is actually that simple … sometimes all you really have to do is move on. Maybe, all you really have to do, when Doubt and Fear and Insecurity throw a party and insist you sit there and listen to every awful word … maybe all you really have to do is get up. Get up and leave the room. And slam the door on the way out. My characters in Bridge of Faith have often felt this way. Stuck, with no way out. 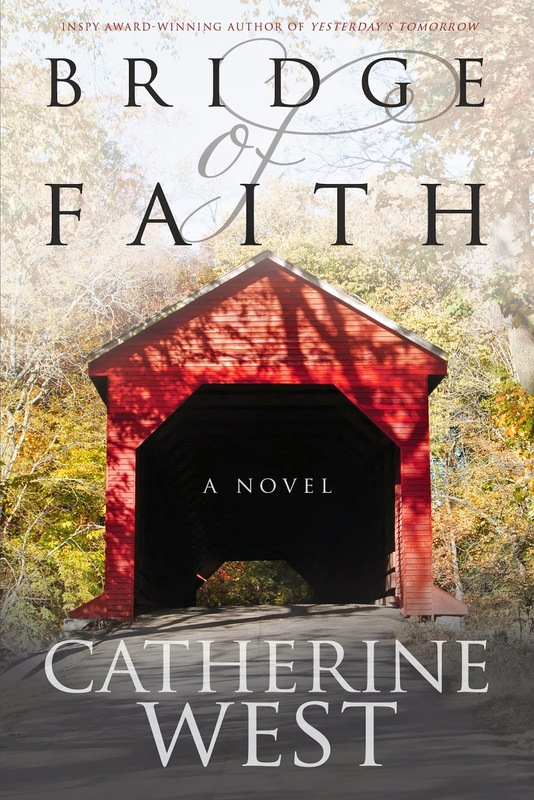 Catherine’s latest novel, Bridge of Faith, is now available on Amazon. What about you? Ever been stuck? Let’s chat! 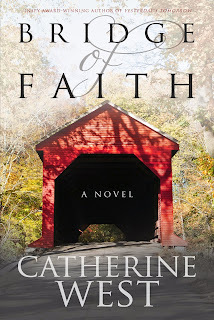 Leave a comment for Catherine today! life, and touches such deep places. I have a feeling LOTS of folks will identify. Cathy did a great job this entire week on JourneysToJoy - would sure love for others to benefit from this article too. Thanks for stopping by - for leaving a comment! Thanks for your words of wisdom. One thing's for sure, we'll always have battles. We don't always have to fight them. 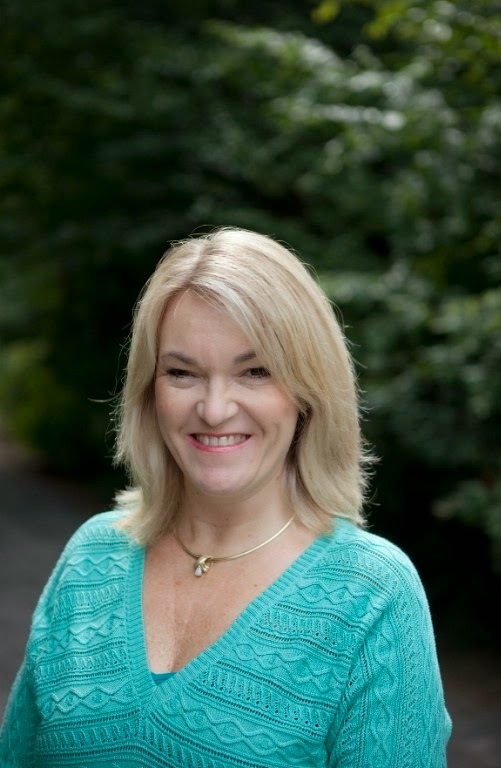 Catherine's post is a great reminder for us all. Be sure to stop by again. . .at least one author feature per month. THANKS AGAIN and my GOD BLESS YOU, JANE.